Smoothies come with the nutritional mix of fruits, proteins, veggies and healthy fats, making them a perfect lunch-on-the-go or delicious snack. 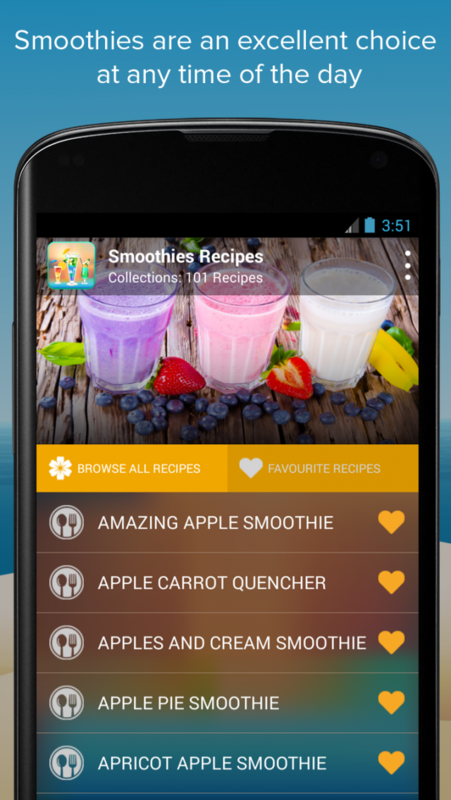 If you are looking for a quick recipe, this app has some amazing alternatives ready! 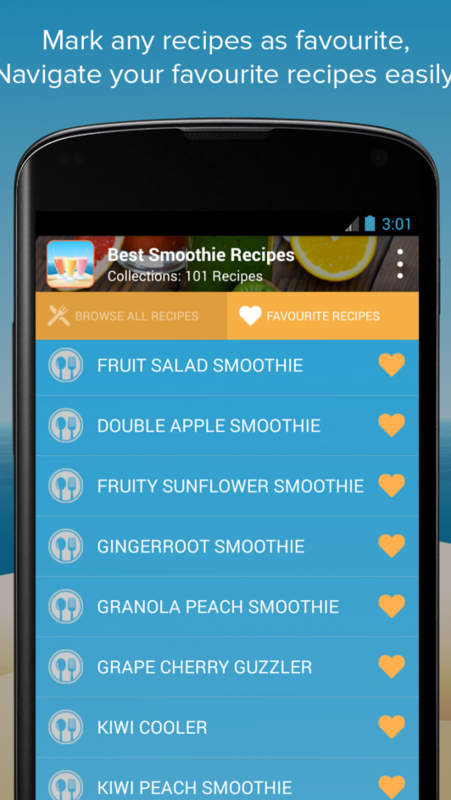 Check out these delicious combinations of smoothies and make your day healthier! Smoothies are an excellent choice at any time of the day. Whether you are looking to recharge your body after a hectic day at work or want to get some supplements to make your gym sessions productive, smoothies can bring in a lot of advantages. The busy life today has given rise to the concept of fast foods wherein we miss out upon the all important veggies and fresh produce. However, the good news is that the concern is equally met with smoothies. It will take just 5 minutes to prepare a glass full of delicious smoothie. One can pour in different types of vegetables and fruits in their raw forms. Just put everything in the grinder and you have a exceptional recipe in front! What a better way to start a day? Smoothies are considered delicious, satisfying, organic, healthy, energy giving and incredibly fast alternatives to morning breakfasts and snack time foods. 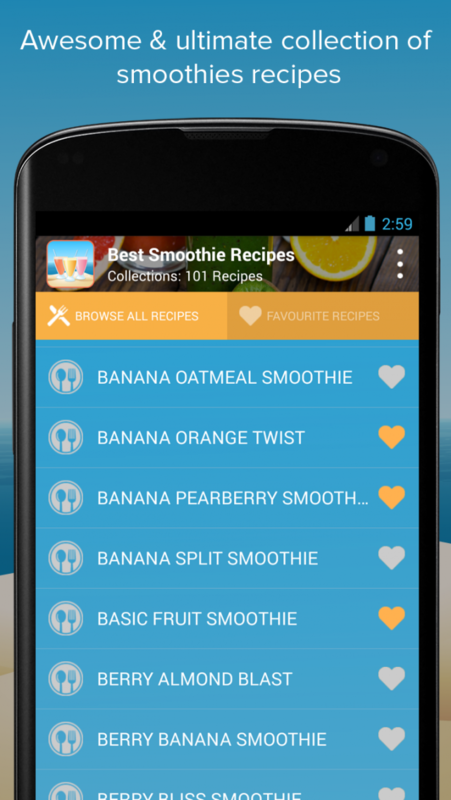 People with all taste preferences will have some options in smoothie recipe. There are the ultimate servings providing balanced quantities of vitamins, minerals, calcium and fibers. Creating your own smoothie just takes minutes. Just cut out the veggies and fruits in your refrigerator and grind them to get a delicious glass of smoothie. Even doctors prescribe green smoothies daily for a healthier heart and metabolism. 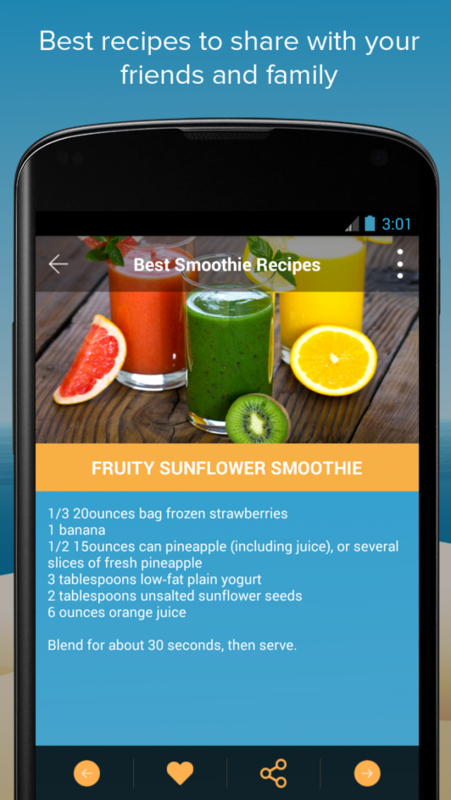 This app talks about more than a dozen of smoothie recipes. Every recipe is a balanced combination of healthy and energy providing nutrients and will perfectly compliment every day. Download the app to know more!